Are Kettlebells Good For Weight Loss? If your weight has started to become a concern, the time to begin a weight loss program is now. You might also want to lose weight because you don't want to wait for the time when things get unmanageable. In that case you have already made the right decision for yourself but your good intentions can come to a standstill if you don't find the right workout routine, plan to lose weight. Going to a gym might not be possible to all but you can find a way at home, using kettlebells for example, which are effective in the process of losing weight. As a beginner the question at the top of your mind will rightly be, Are Kettlebells Good For Weight loss? And the answer is a strong, definite yes. Kettlebells are simple tools like dumbbells but have contained handles and can be used accordingly. However they work on your body differently from other fitness equipment because they target your body's natural movements. Each and every muscle in your body will get a workout when you use kettlebells and that means a much higher consumption of oxygen and energy. 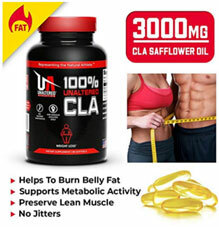 This energy is obtained through the fat stored in your body, which will get burned faster in the process and you will lose weight sooner rather than later. Kettlebells also generate a plyometric response from your body, which helps you lose weight. It quite simply is the dynamic response your body gives when it is in an unbalanced position. That's what most of the kettlebell exercises lead you to be in, be it lifting it from the floor or holding it in a shot put like position. Being off balance will trigger responses from your body that will have phenomenal effects in losing weight. Kettlebell exercises also increase your metabolism, which helps you tone your muscles as well. Building muscles requires a lot of energy and your body gets it through burning of fat. Benefits of kettlebell exercises don't stop after you have finished your workout as excessive post exercise Oxygen consumption or EPOC is very high. Hence you will be burning fat and losing calories after your workout as well. The key lies in choosing the ideal weight kettlebell for you, which you can arrive at after trying out a few. Doing these exercises few times a week for short durations can help you lose weight without much difficulty.